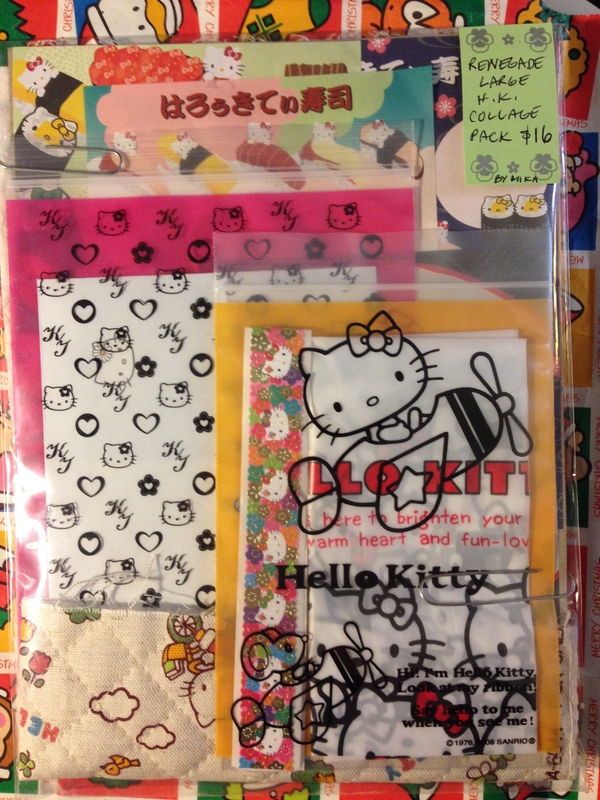 We made a group business decision to NOT sell kawaii (cute culture) items from the Neko Sisters. I was in total agreement with my mom and sister on that decision. 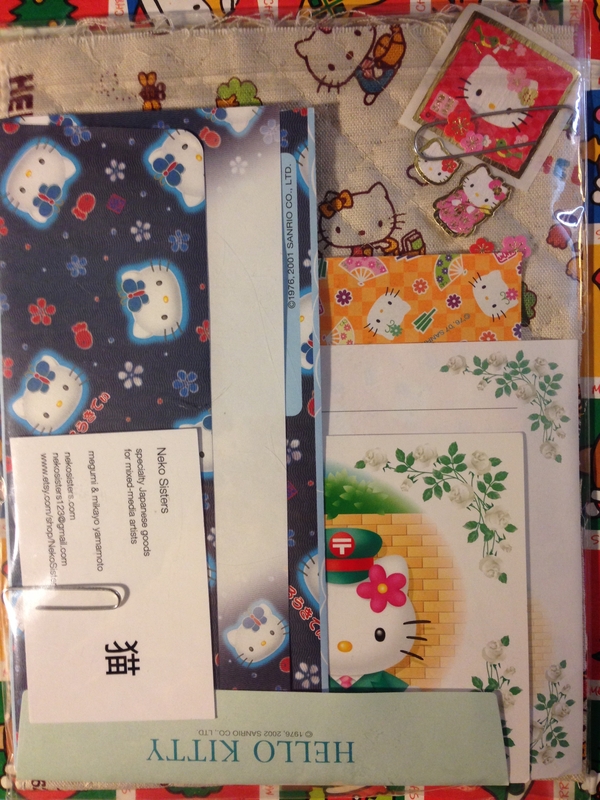 However, I am unable to control myself when it comes to Hello Kitty. She and I have been friends for her entire life (she was “born” in 1976) and most of mine too since I am only a few years older than she is. So I created a “renegade” collage pack on my own, just in case there are others out there like me. This is not going to be an item on the Etsy store, and it won’t be displayed on the table at the fairs – the fellow addicted customer is going to have to ask for Hello Kitty or Sanrio items in stock. Then to their delight and wonder this amazing collage pack of only available in Japan items (a big deal if you are a collector like I am) will appear! I can’t wait to find out if anybody asks, maybe I will make a new friend and we can start a “Hello Kitty Anonymous” support group! Lately a list of habits of happy people has been circulating on my Facebook feed. When I read the article, I discovered another reason that origami makes me happy: flow. It said that happy people habitually do “flow state” activities. Time spent when you are able to fully concentrate on a task can foster happiness in your life (or single-minded immersion = a happier person). My son is a zen master at this and I am trying to learn from him! 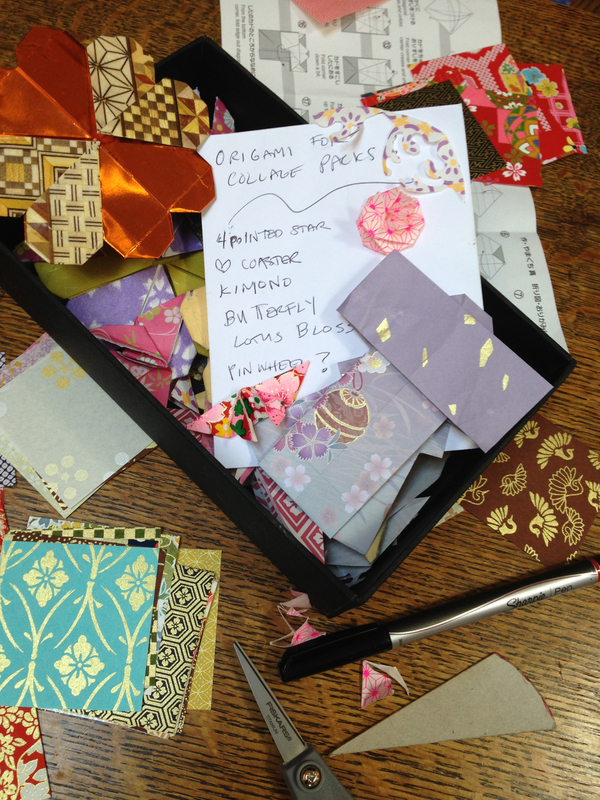 When I do origami, it is so easy for me to get lost in the various activities of choosing the paper, folding, deciphering a new model’s instructions or challenging myself to remember how to make something again from memory. Sometimes I think about people and my memories with them. The shape of a model, pattern or color of a piece of paper reminds me of some person or place. I love to hold and feel the paper and see what I can create. I also now know another reason to make time for origami in my busy life, to increase flow! 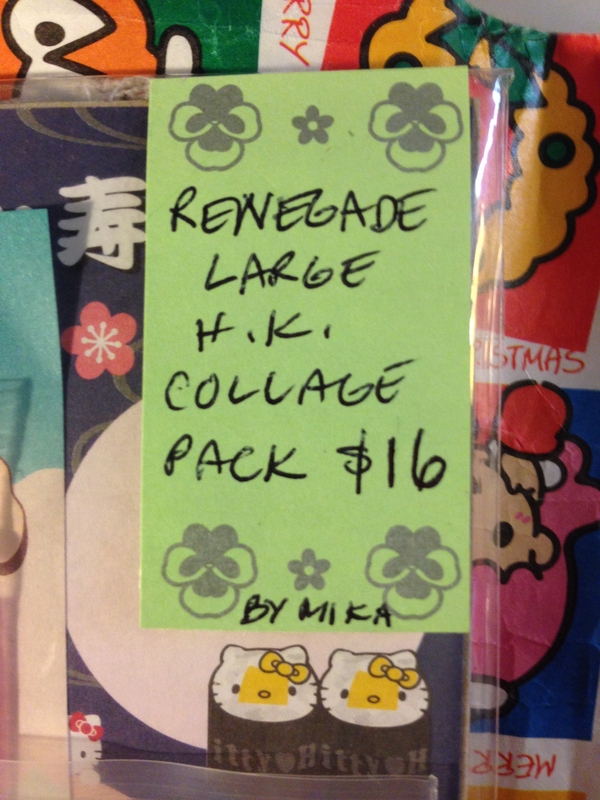 Mom is busy making collage packs! 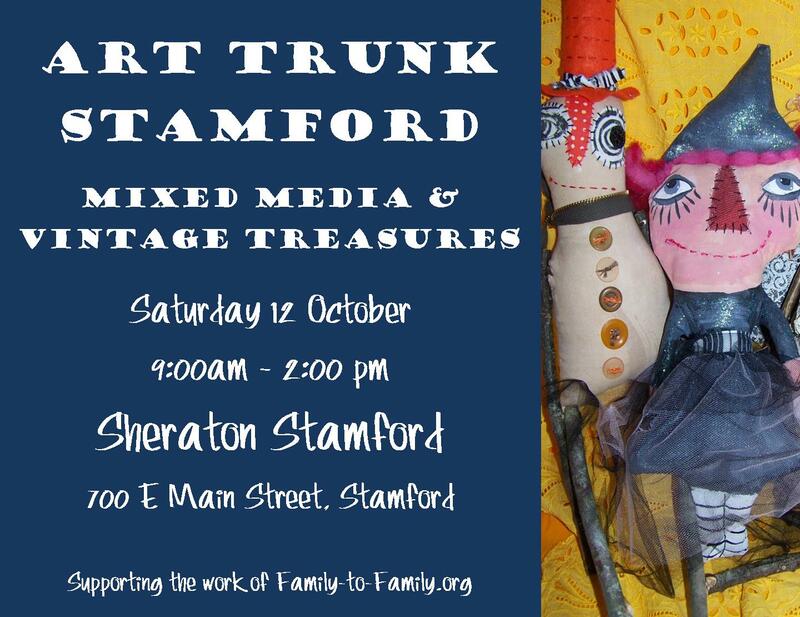 We are looking forward to Art Is… You in Stamford CT in October. We will have some special one-of-a-kind items in the booth. Please come and join us! 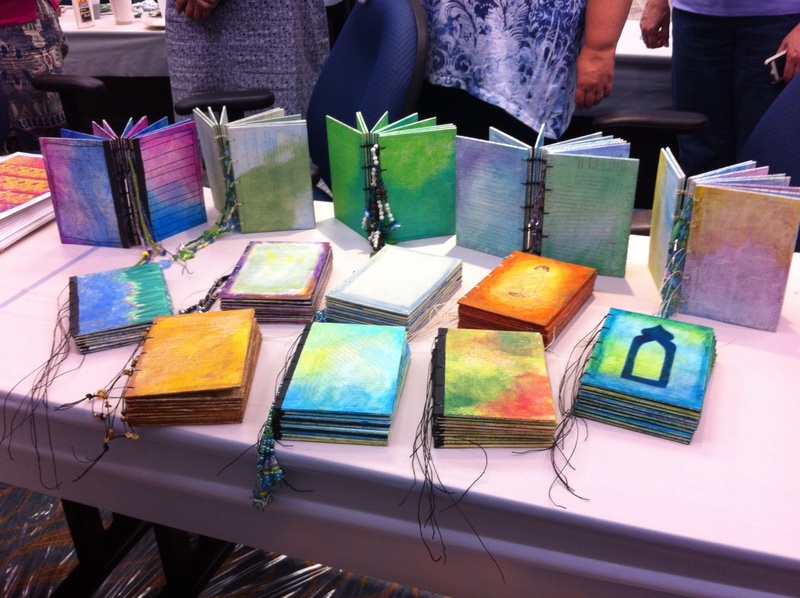 Making these journals in Ingrid Djiker’s class was so much fun, and each one turned out to be differently beautiful. I think my favorite part was learning how to bind the book – now I’m totally obsessed with different ways of putting books together. 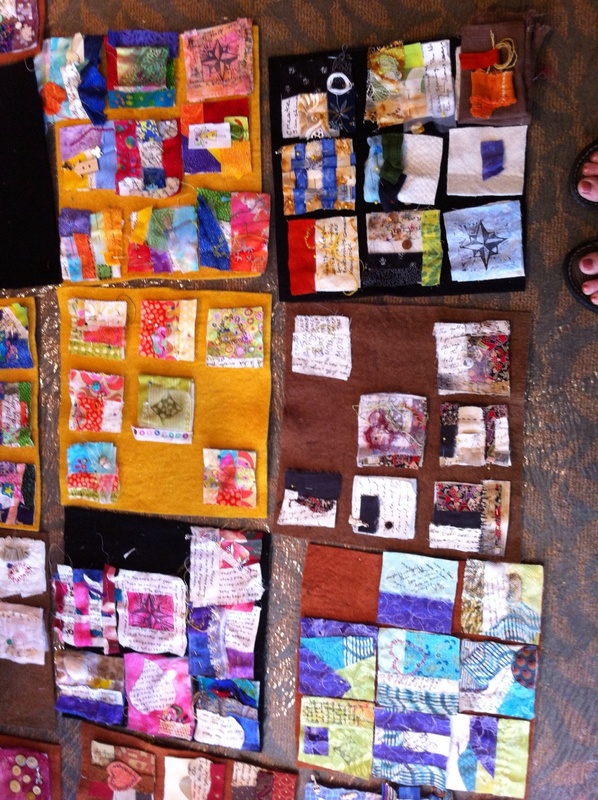 Jane LaFazio taught me so much about journaling and art quilting, and I loved talking to the people at my table. Mika and I were so excited setting up the booth at the vendor fair. Once it started, it was amazing hearing all the stories about connections to Japan. We met a lot of cool women! 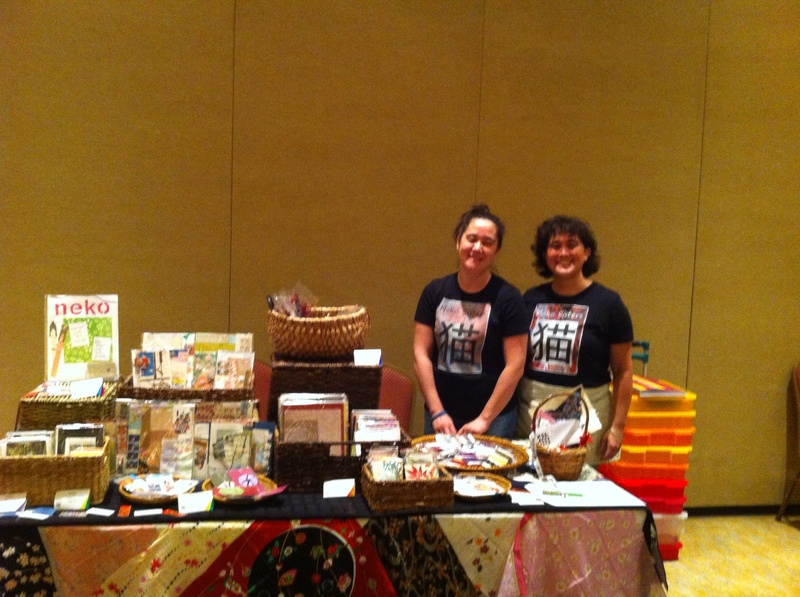 Megumi and Mika had a wonderful time at Create 2013 in Somerset,New Jersey! It was our first time as vendors, and we met an amazing group of women who share our love of all things Japanese, especially paper and art supplies! Thanks to all of you who visited our table and shared stories and connections. We had so much fun!